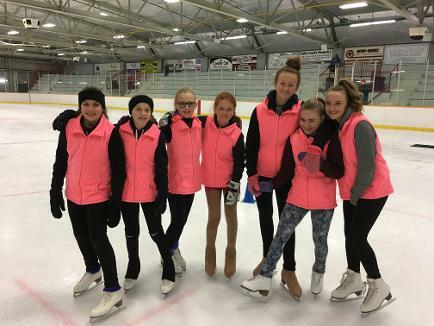 Program Assistants ( PAs ) are a very valuable part of the Elmvale Skating Club Learn to Skate program. 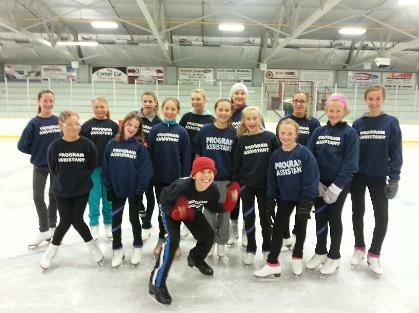 PAs are individuals who have been trained to assist in the delivery of the PreCanSkate and CanSkate programs. Program assistants should be good communicators, enthusiastic, responsible, punctual and patient. These amazing volunteers are able to keep skaters moving while providing praise and encouragement. All PAs can be identified by wearing a PINK volunteer vest while they are on the ice assisting with our programs. Program Assistants who show dedication and outstanding commitment. be unable to run these programs without them. P.A.s: Click on the blue rectangles for a full list of names on duty. P.A.s assigned on Saturdays will help with Learn to Skate as well.